The study, of more than 3,500 heart failure patients, is the latest to look into the so-called "obesity paradox." The term refers to a puzzling pattern that researchers have noted for years: Obese patients with heart disease tend to survive longer than their normal-weight counterparts. "It has consistently been observed in large studies," said Dr. Gregg Fonarow, co-chief of cardiology at the University of California, Los Angeles. "But the mechanisms contributing to this paradox continue to be debated." The pattern is dubbed a "paradox" because obesity actually raises your risk of developing heart disease in the first place. So it's not clear, Fonarow said, why it would be linked to better survival after the disease develops. Heart failure is a chronic condition in which the heart muscle can no longer pump blood efficiently enough to meet the body's needs. It causes symptoms such as breathlessness, fatigue and fluid buildup. 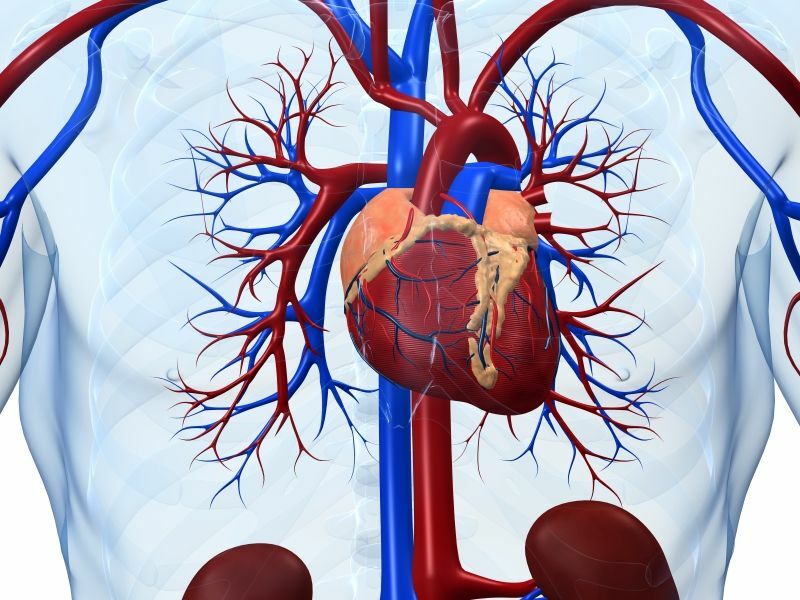 In general, the study found, heavier patients tended to show less deterioration in the structure and function of the heart's main pumping chamber. And the highest survival rate was seen among overweight or obese patients who were metabolically healthy -- meaning they did not have high blood pressure, high cholesterol or abnormal blood sugar levels. Patients in the normal-weight group who were metabolically unhealthy fared worst: Only 55 percent were still alive after three years. Metabolically unhealthy obese people fared about the same as normal-weight, metabolically healthy people -- with a survival rate of about 66 percent. Panjrath, who was not involved in the research, chairs the American College of Cardiology's heart failure and transplant section. He noted that the study -- like most previous ones -- used body mass index (BMI) to divide patients into weight categories. But BMI -- a measure of weight in relation to height -- is an imprecise gauge, Panjrath explained. In fact, Panjrath said, a number of studies have suggested that cardiovascular fitness levels -- rather than weight -- are critical to heart disease patients' outlook. Obesity is a risk factor because it contributes to the conditions that can cause heart failure, Panjrath explained. There's also some evidence those extra pounds might directly affect heart muscle function, he said. "Fitness is more important than fatness," Panjrath said. He added, though, that weight loss is encouraged when patients are severely obese.